After uploading, breaking apart, merging or rotating a doc in Paperless Pipeline, signatures or filled in data on documents don't appear in Paperless Pipeline's preview page that is displayed when you click the document name. This problem is usually caused by corrupted PDF files produced by outdated scanning software or unsavable PDF files. When Pipeline tries to read such a document, it is unable to read some of the information properly. Check the PDF version. 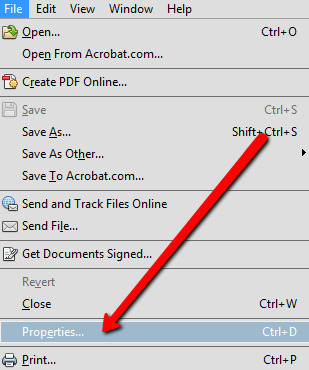 Open the doc in Adobe Reader and select File then Properties from the main menu. If the version is older than v1.5, your scanning software is producing outdated PDFs.